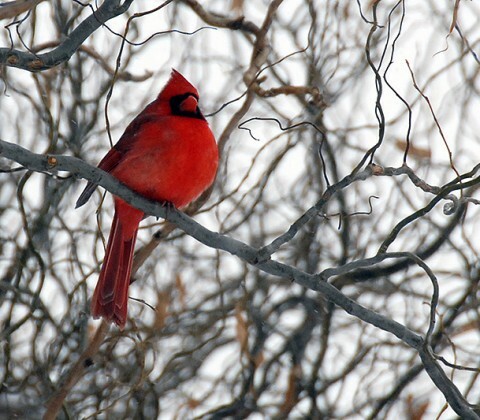 After an absence of almost 2 years, a cardinal has returned to the corkscrew willow tree and the feeders. 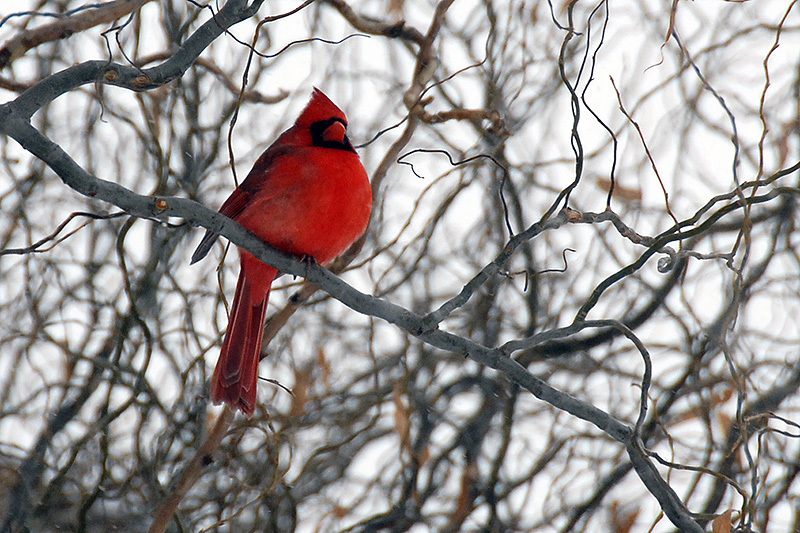 It is always a welcome sight to see the bright red color of a cardinal in the winter. Hopefully this male will stay around through Spring and find a mate.